That there were some major surprises amidst this morning’s Gotham Awards nominations kind of goes without saying. The awards, now in their 24th year, have always had eccentric nominees, largely because they are decided on by small committees instead of a large voting body. In an awards season often filled with predictability, that’s a very welcome thing. 1. Gugu Mbatha-Raw gets nominated for best actress. Gina Prince-Bythewood’s “Beyond The Lights” premiered in Toronto last month to strong reviews, though it hasn’t really been on many folks’ radars since. Which is why seemingly no one saw Mbatha-Raw’s nomination for best actress here coming. The actress indeed had a big 2014, but it was so far largely because of “Belle,” the breakout British period drama that was ineligible here because of its country of origin. In “Lights,” Mbatha-Raw plays a young singer primed for pop superstardom who can’t handle the pressures of success. Relativity is releasing it in theaters next month, and this boost should definitely boost its profile, and further Mbatha-Raw’s status as of the year’s breakout actors. But that brings up a whole different surprise: Why was she nominated here and not for best breakthrough actor? 2. No Reese Witherspoon. The actresses that missed out in favor of Mbatha-Rawa included Kristin Wiig (“The Skeleton Twins”), Jessica Chastain (“A Most Violent Year” and “The Disappearance of Eleanor Rigby”) and Elisabeth Moss (“Listen Up Phillip”). 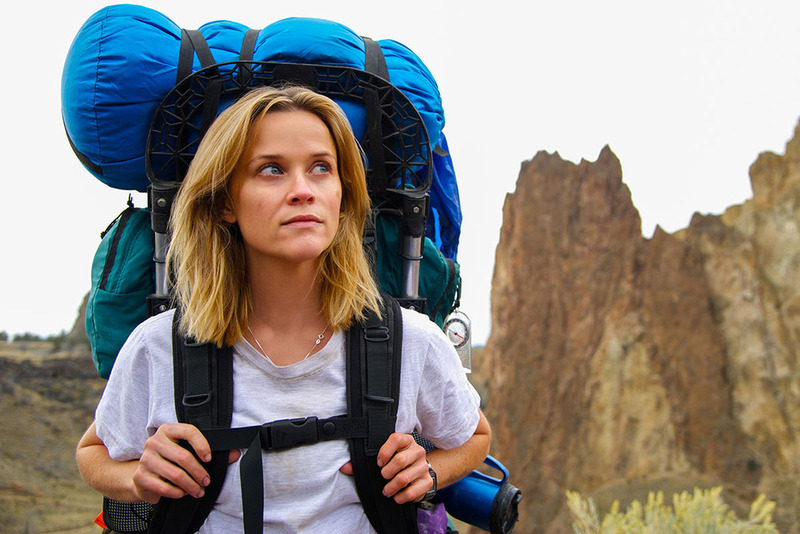 But none of them were as surprising a snub as Reese Witherspoon for “Wild.” The actress is one of the few Oscar locks for her epic performance as a real-life woman who hikes more than a thousand miles as a way to heal herself. This probably isn’t really going to do much in hurting her chances at an Oscar nomination, though it does further supplant Julianne Moore — who did receive a nod for “Still Alice” — as the category’s true frontrunner this season. 3. Quite a few films that had questionable eligibility make the cut. The Gothams’ rules state that films “must be American.” Which made it somewhat unclear whether “Birdman” (American co-produced and set, but directed by Mexican Alejandro González Iñárritu), “Under The Skin” (American co-produced, but directed by Brit Jonathan Glazer) and “Tracks” (Australian produced and set, but directed by American John Curran) were actually up for awards or not. It turns out they all were American enough in the end, with “Birdman” and “Under The Skin” each nabbing two nominations, and “Tracks” getting one. 4. Oscar Isaac gets nominated for “A Most Violent Year.” Another film that was a bit of a question mark for eligibility at the Gothams was J.C. Chandor’s “A Most Violent Year,” simply because it wasn’t clear whether it had screened for the committees or not (it doesn’t premiere until next month at AFI Fest). But it was, which was made clear by Isaac’s nomination for best actor. That makes Isaac one of two actors (the other being Scarlett Johannson) who have gone 2 for 2 in the Gothams’ first two years of having competitive categories for best actor and best actress. Isaac was nominated last year for “Inside Llewyn Davis,” and Johannson got a mention for “Don Jon.” Neither won then, but perhaps that will be made up for when the Gothams announce this year’s winners. 5. The breakthrough director nominees. The breakthrough director category — named after the late, great Bingham Ray — saw the expected likes of Dan Gilroy (“Nightcrawler”) and Justin Simien (“Dear White People”) get in, but not Gillian Robespierre (“Obvious Child”) and Craig Johnson (“The Skeleton Twins”). Which is particularly surprising since their films got nominated in other categories (for their lead actors Jenny Slate and Bill Hader, respectively). In their places came three directors with first features that have received much less exposure: Ana Lily Amirpour for “A Girl Walks Home Alone at Night,” James Ward Byrkit for “Coherence,” and Eliza Hittman for “It Felt Like Love.” Which while surprising is certainly nice for that trio, who probably need the exposure much more than Robespierre and Johnson. 6. No “Foxcatcher” for best feature. Bennett Miller, who is receiving a tribute at the Gotham Awards this year, saw his critically acclaimed “Foxcatcher” get a special jury award for its three lead actors Steve Carell, Mark Ruffalo and Channing Tatum, but didn’t make the cut for best feature. It’s definitely the biggest snub in that category, with “Whiplash” a close second (notably both Sony Pictures Classics titles). Read all the nominations here.